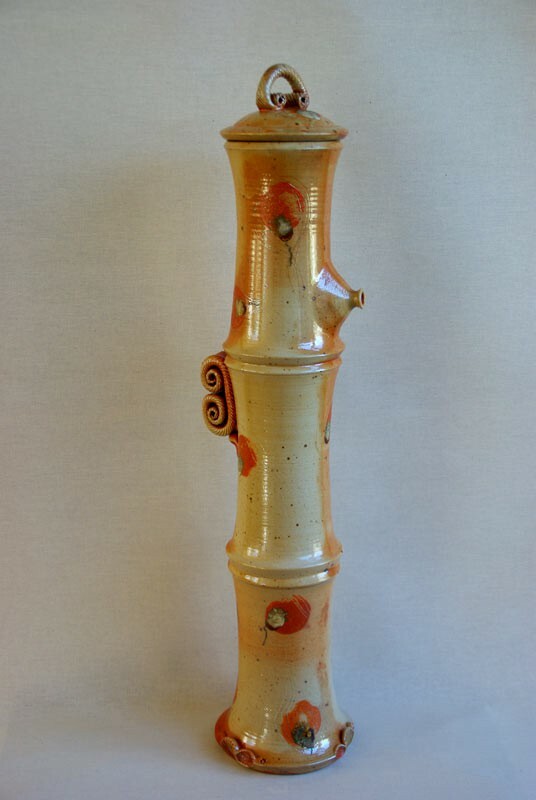 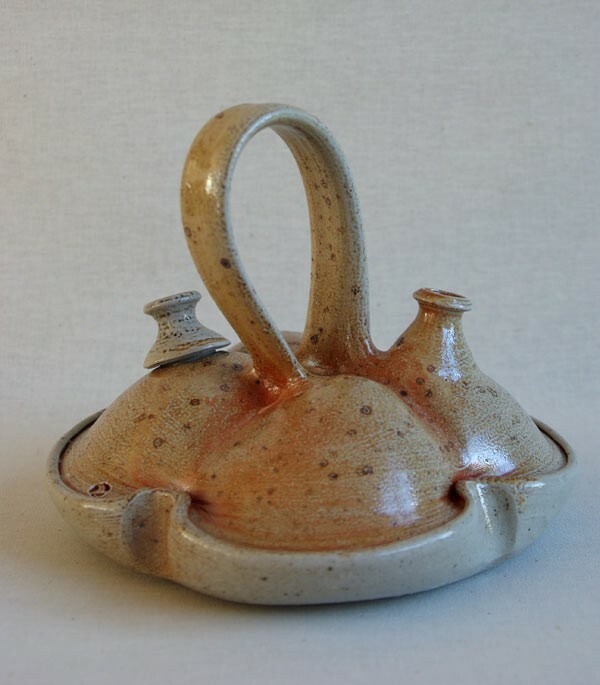 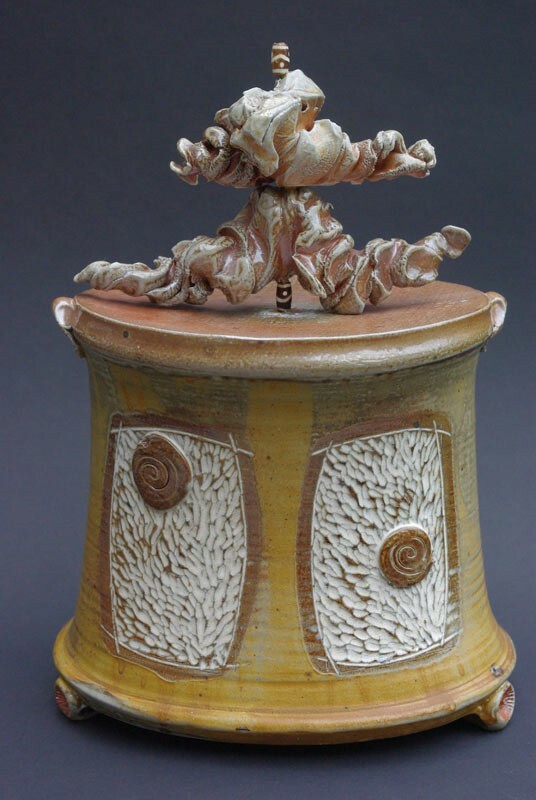 Nidosh graduated from the School of Fine Arts at s’Hertogenbosch , Netherlands in 1974, specialising in ceramics. 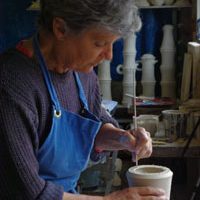 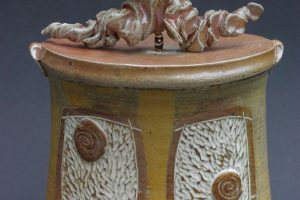 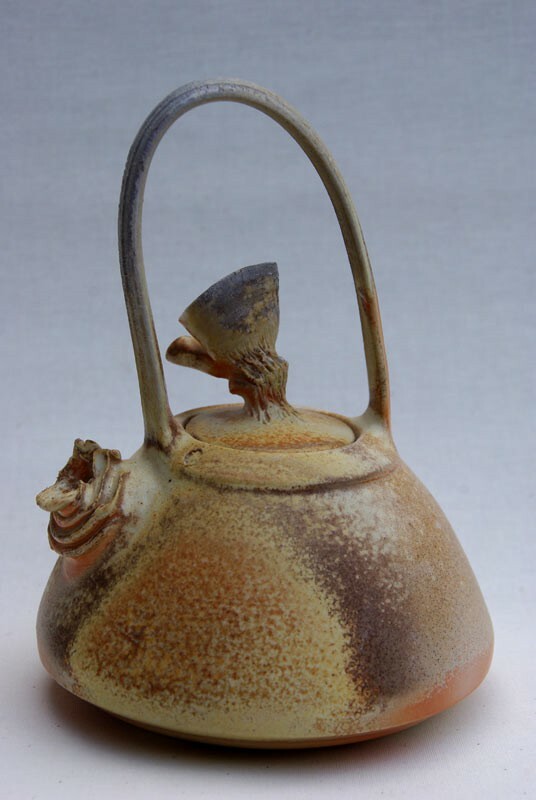 Ever since she has been working as a freelance ceramist, making crockery or free shapes, all of which are hand-thrown on a wheel using stoneware clay or porcelain. 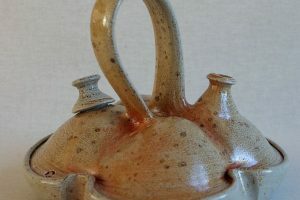 Key actions for creating shapes in full movement are deforming, cutting, pressing and rolling them, applying brush strokes or marking with horn. 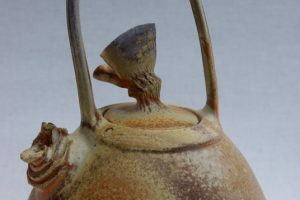 Her work is influenced by journeys in India, China and Thailand, and her shapes are handled in an increasingly freer style. 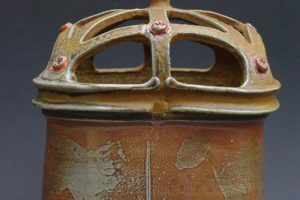 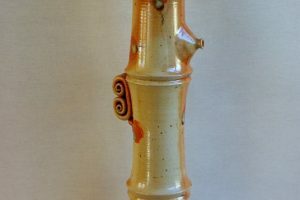 To obtain the results she is looking for, it is crucial to fire the pieces in salt or wood-fired kilns because the marks left by the fire are essential to the pieces. 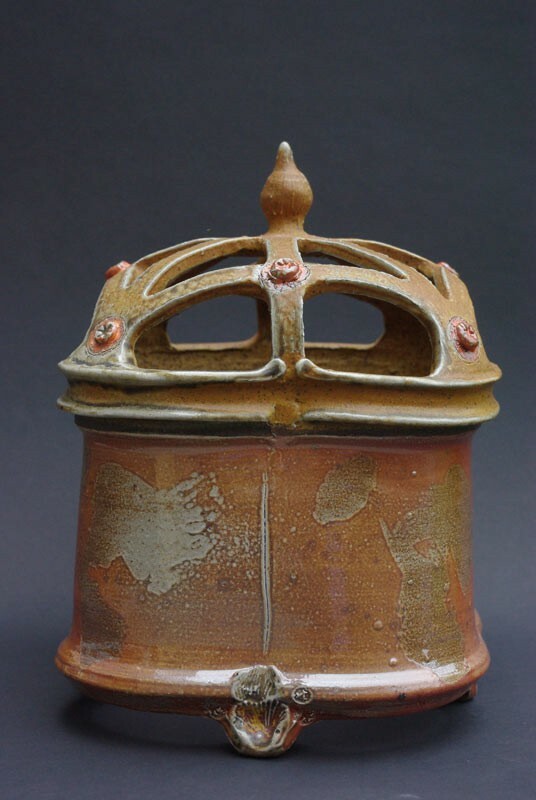 In 2013 she made a film entitled ‘Tout feu tout grès’ (All fire and stoneware) on the history of La Borne and Saint Amand en Puisaye.